US Special Representative for North Korea Stephen Biegun will visit Pyongyang on Wednesday (February 6) and meet his North Korean counterpart Kim Hyok Chol to discuss the second meeting between the leaders of the two countries. 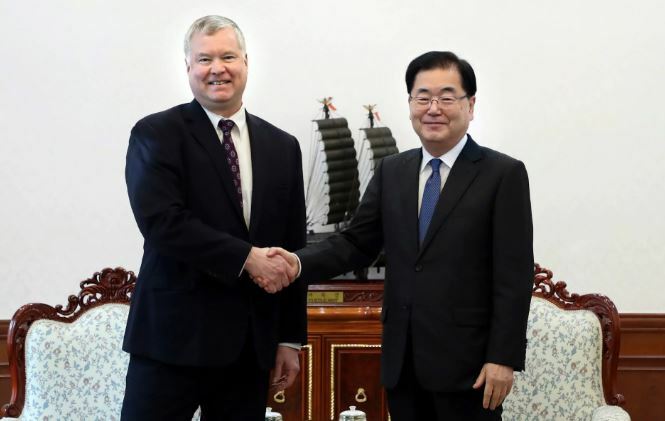 Washington DC: US Special Representative for North Korea Stephen Biegun will visit Pyongyang on Wednesday (February 6) and meet his North Korean counterpart Kim Hyok Chol to discuss the second meeting between the leaders of the two countries. During the meeting, Biegun and Kim are expected to discuss the upcoming summit between US President Donald Trump and North Korean leader Kim Jong-un, which is scheduled to be held at the end of this month, and "advance further progress on the commitments" made by the two leaders during their first meeting in Singapore last June, according to a statement by US State Department. "US Special Representative for North Korea Stephen Biegun will travel to Pyongyang on February 6 for meetings with his DPRK (Democratic People's Republic of Korea) counterpart Kim Hyok Chol to prepare for the President’s second summit with Chairman Kim and advance further progress on the commitments the President and Chairman Kim made in Singapore: complete denuclearisation, transforming US-DPRK relations, and building a lasting peace on the Korean Peninsula," the statement read. Speculation is rife that the location for the second summit may be Vietnam. However, an official confirmation is awaited. Biegun, who is currently in South Korea, arrived in Seoul on Sunday and met with his South Korean counterpart Lee Do-hoon. He also met with South Korea's National Security Advisor Chung Eui-yong regarding the upcoming second US-North Korea summit. During the first summit, held at Singapore's Sentosa Island, both Trump and Kim had agreed on a spectrum of issues, the most prominent being the complete denuclearisation of the Korean Peninsula. 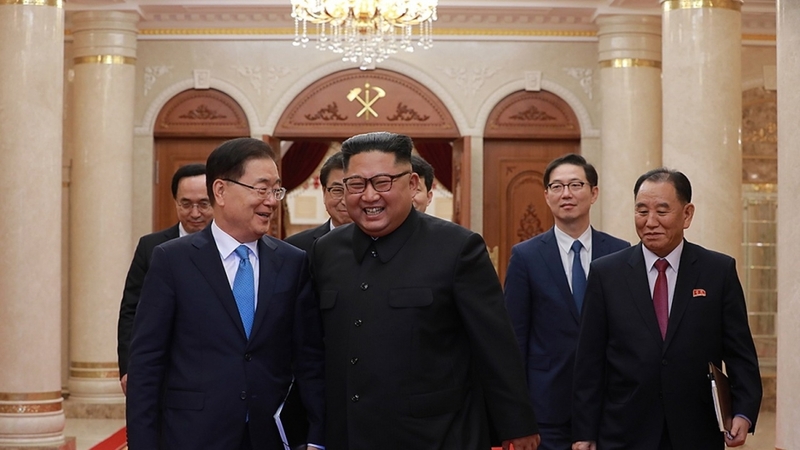 However, the US and North Korea reached an impasse regarding sanctions relief for Pyongyang soon after the first summit, leading to extremely slow progress on the denuclearisation front.